Miss Sharon asked me the other night about tea staining her silk Georgiana 18th century shoes. 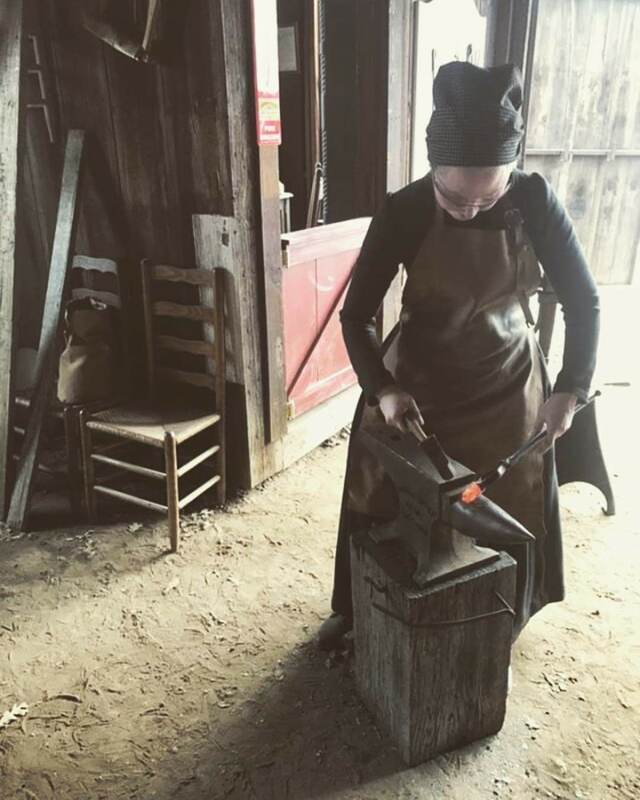 She was reluctant to do it, so I embarked on that journey on her behalf, and learned some very important and cool things you all ought to know. Ready? 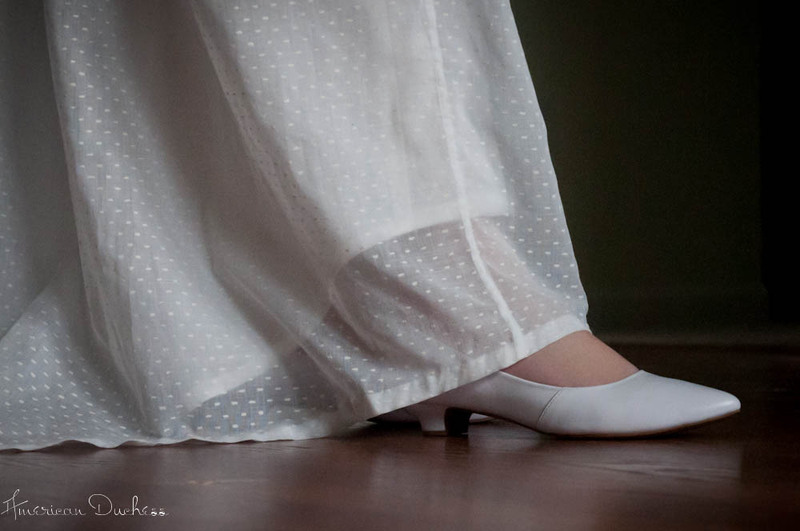 "Pemberley" Regency Shoe Pre-Sale OPEN + Giveaway! 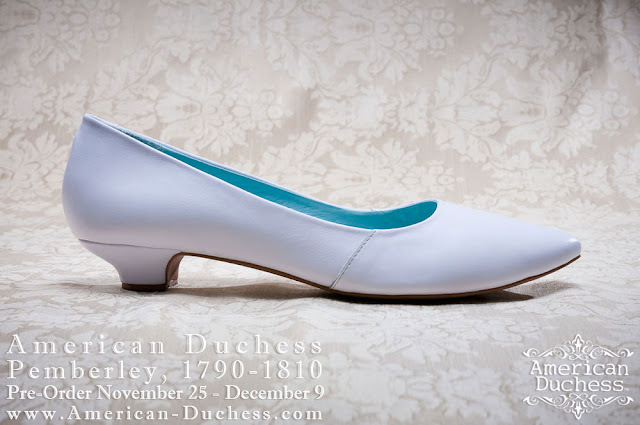 Go forth, merry historical holiday shoppers, and order a pair of Pemberlies, the perfect Regency shoe, for your Jane Austen-obsessed love one, or treat yourself! 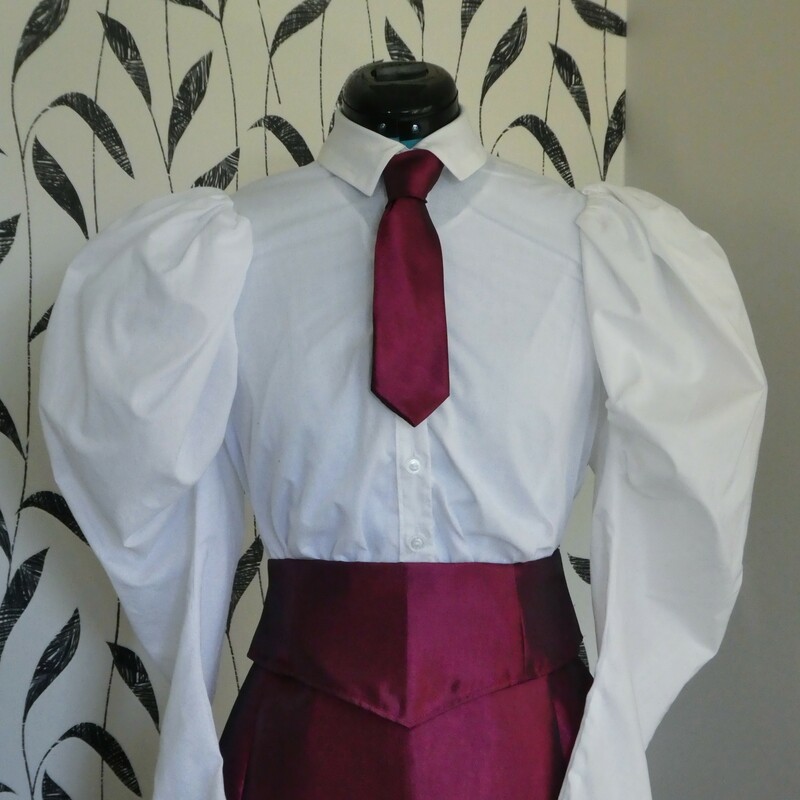 Ordering is UNLIMITED, on all women's USA sizes 6 through 12, including half sizes. 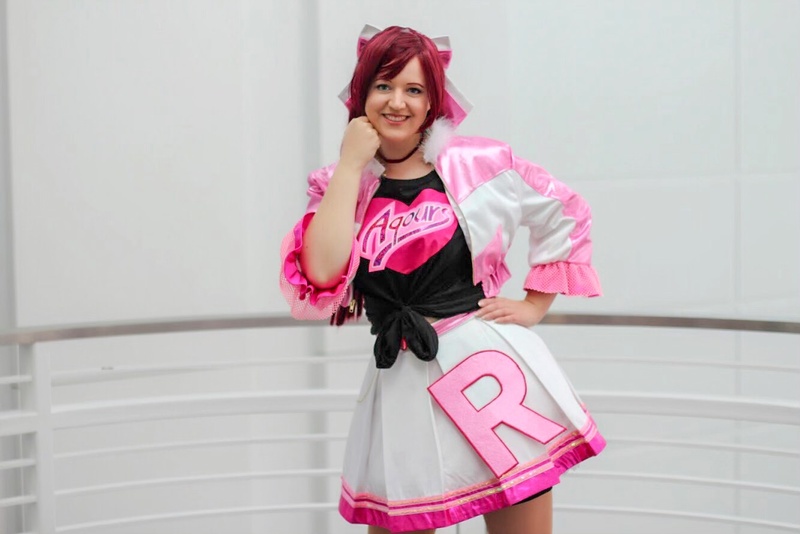 Orders of 5 + receive the special pre-order price, plus quantity and shipping discounts. 3. 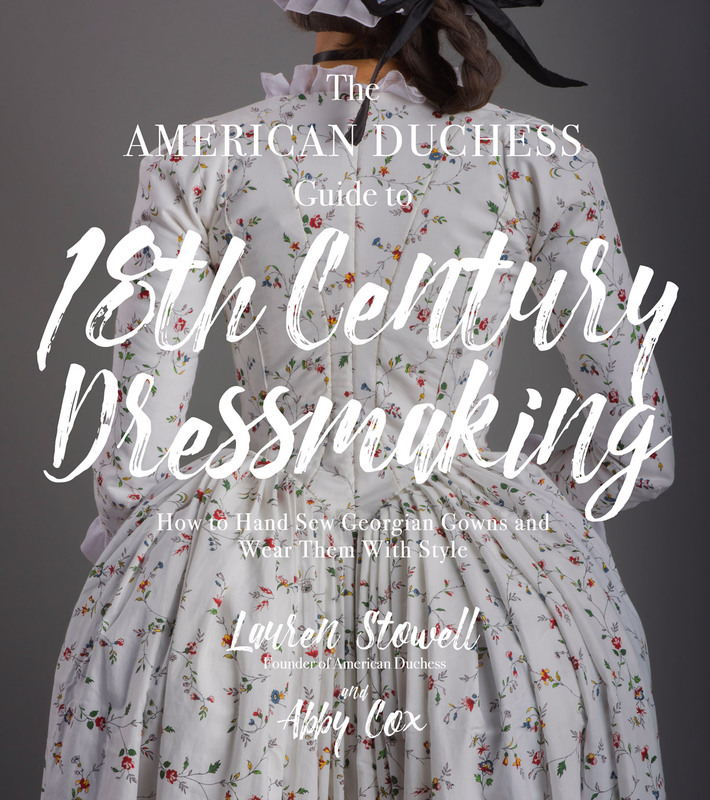 Facebook about the pre-sale - Post a link to www.american-duchess.com on your Facebook page, and leave a comment on this post to enter the drawing. For those of you stateside, Happy Thanksgiving! 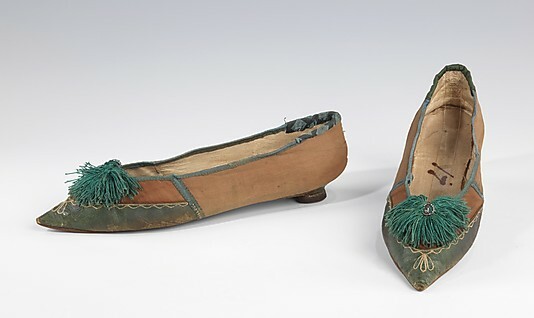 Since I know the lot of you are nomming turkey and accompanying side dishes, I will be short and provide you with some more Regency shoes to look at. 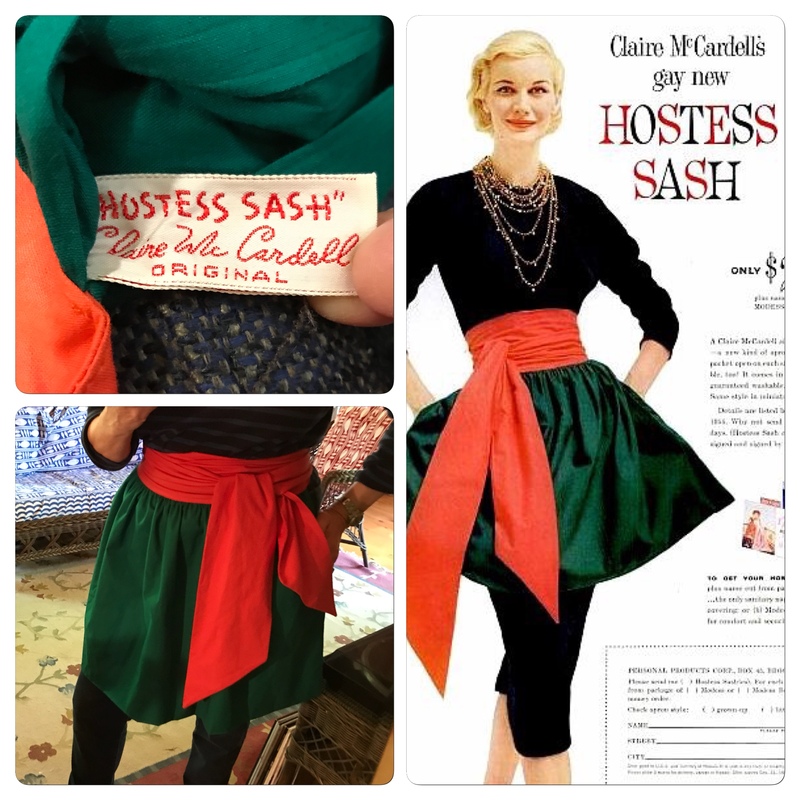 Just think of all the ways you could decorate your Pemberlies - red with black tassels? ivory with orange stripes? yellow with pom-poms? 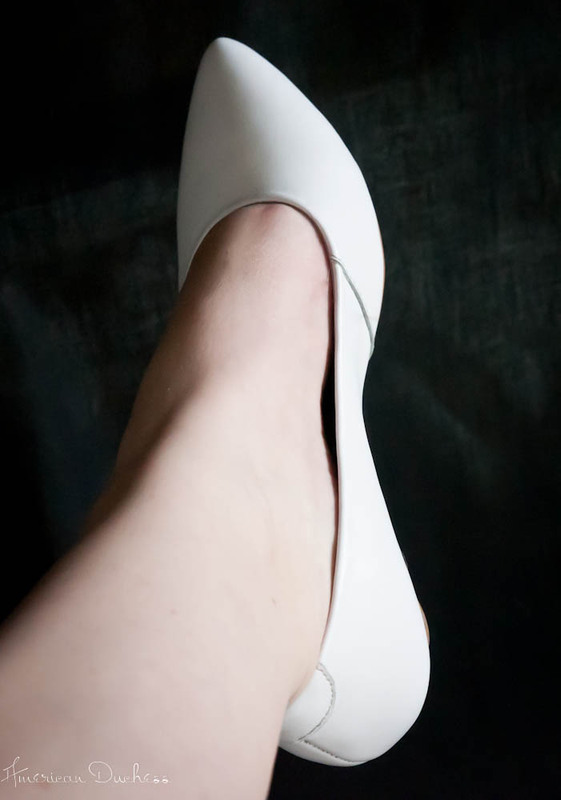 The white leather is lovely as it is, but it's the endless possibilities that make the Pemberlies perfect. Don't Forget, Pemberley PRE-ORDER opens tomorrow, November 25th. We need just over 100 pre-orders to run the style, otherwise I will have to cancel it and refund everyone who ordered. 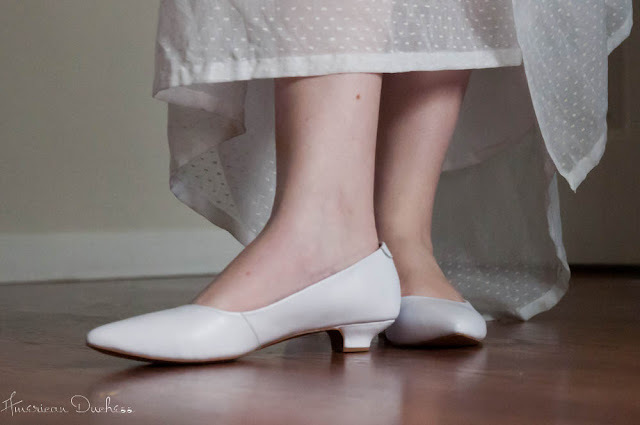 Don't pass up the opportunity to own the most historically accurate Regency slippers available, the *perfect* shoes, for the lowest price we will ever offer. It was raining this day, but the house was no less beautiful. 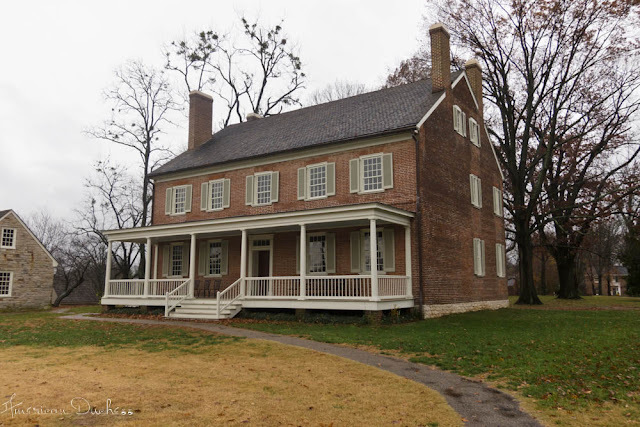 This is actually the rear of the house, with a reconstructed porch. During my visit to Tennessee, Maggie and I visited The Hermitage, the stately home of President Andrew Jackson. 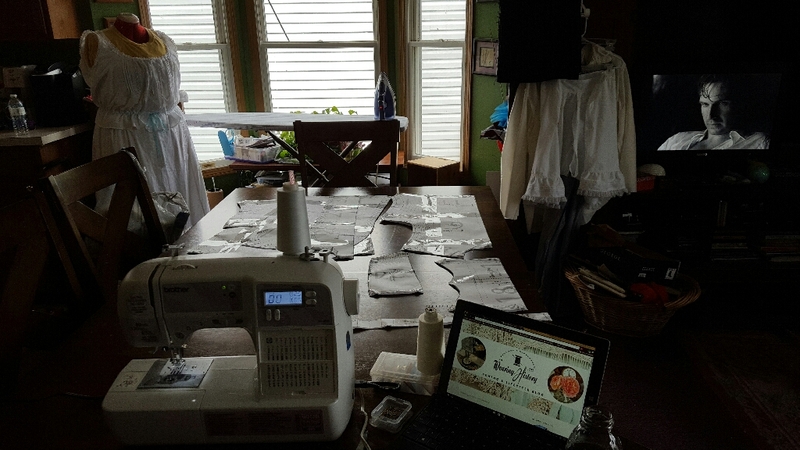 You know those mysterious costuming mysteries that sometimes plague us? 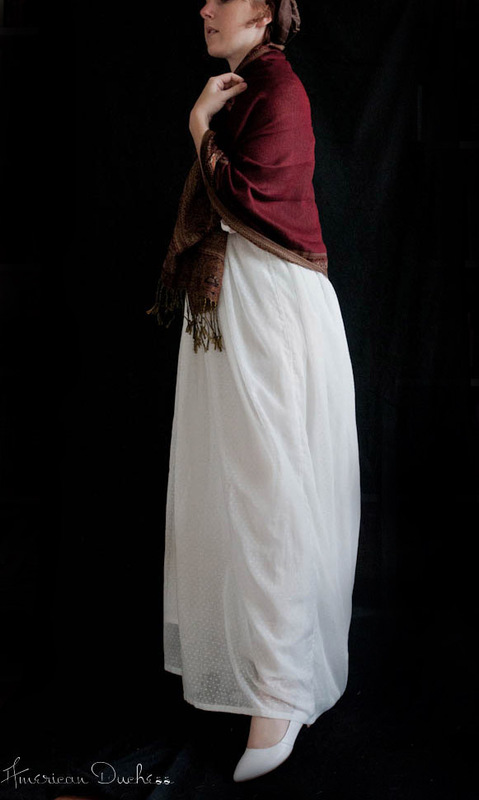 How to tie a turban is one of them. 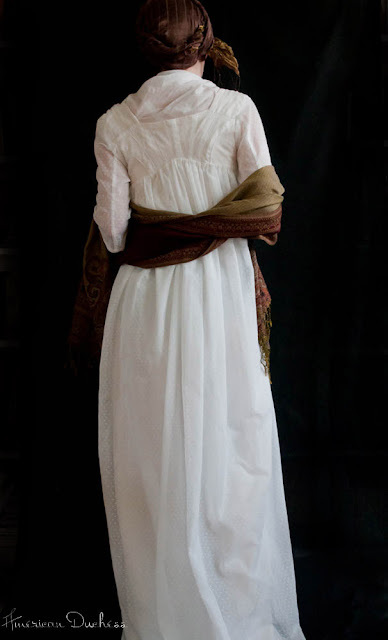 If you are practically hair-less like me, a quick and easy head-wrap is the perfect way to finish off a Regency gown, day or evening, and hide your lack-of-hair. Here's a quick video showing how to do it. 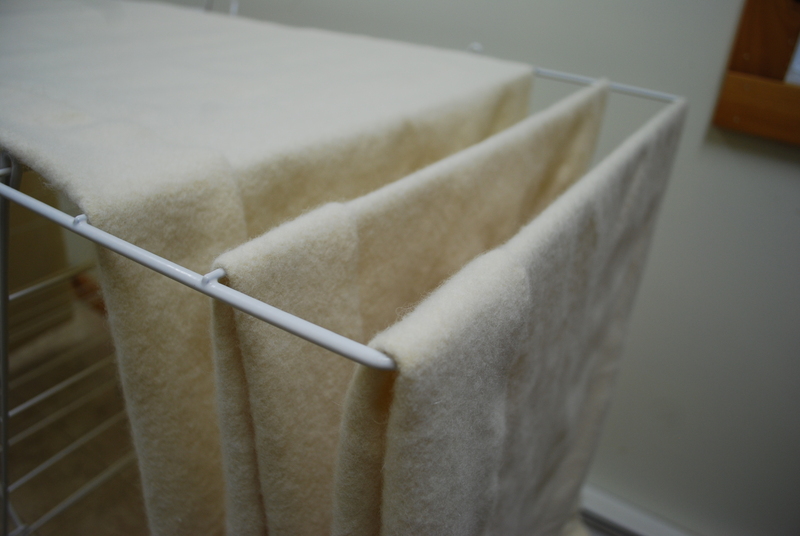 This can be done with any standard-sized scarf. 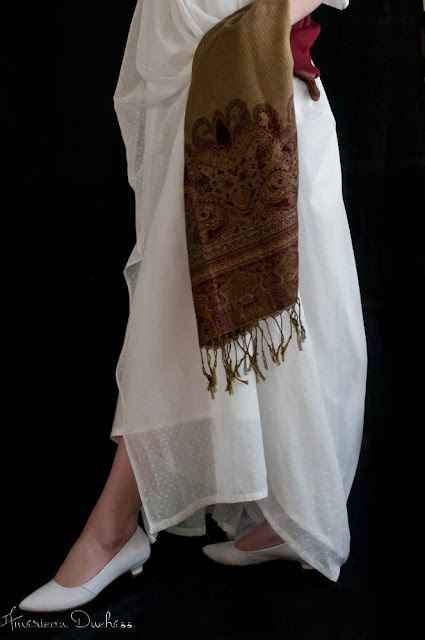 The one in the video was done with a silk scarf; the one in the photo below with a basic rayon scarf. My only warning is to avoid really huge scarves or shawls, as they can be a lot to handle. 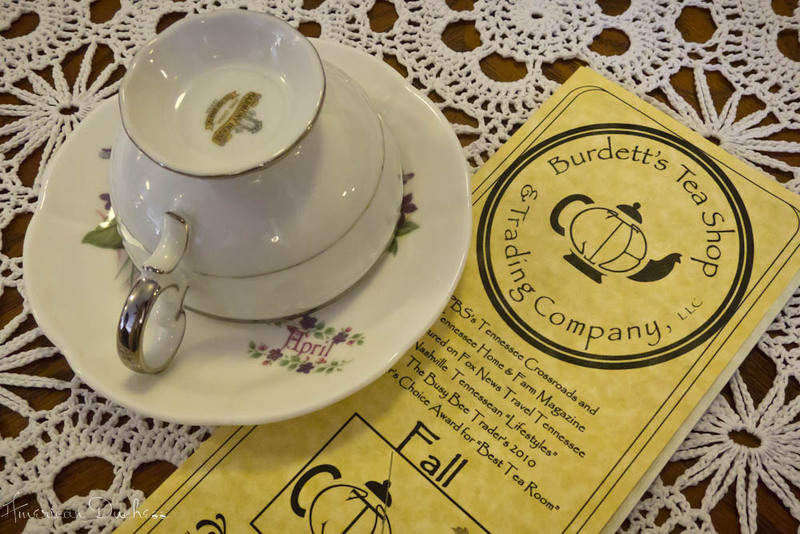 Burdett's Tea Shop was a delightful, old-fashioned place in Springfield, TN. It was absolutely packed with lil'-ole-ladies who took great delight in our party when we arrived. 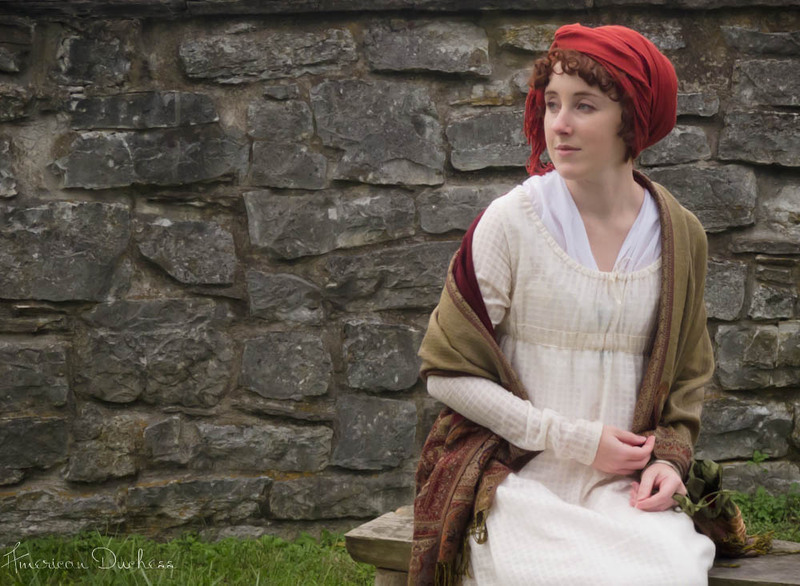 I've been in Tennessee this past week, meeting wonderful people, playing dress up, and drooling all over historic sites. 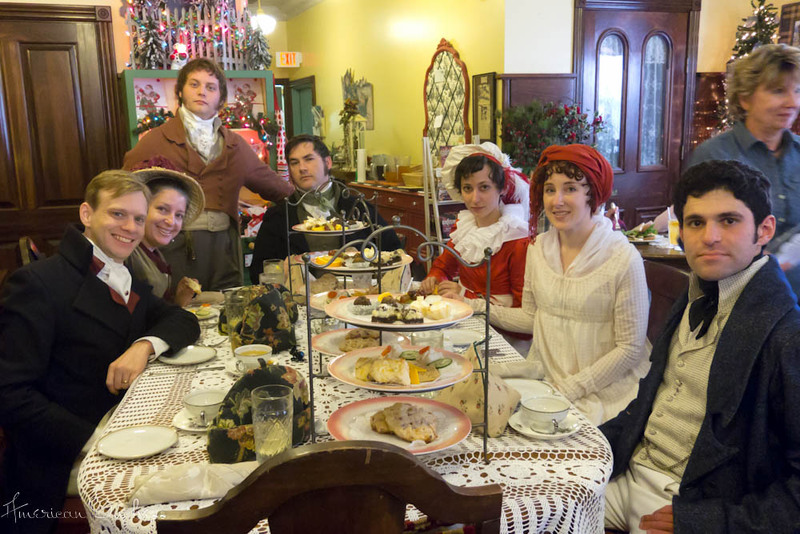 I went to visit my best friend Maggie, who you may know as Miss Emily Waterman, and her beau, The Doctor, and had the pleasure of meeting the famous Tumbusches, as well as Mr. Ramsey and Mr. Cushing, and the Coopers. I finally finished the 1790s wrap-front gown I've been working on foreeeeever. 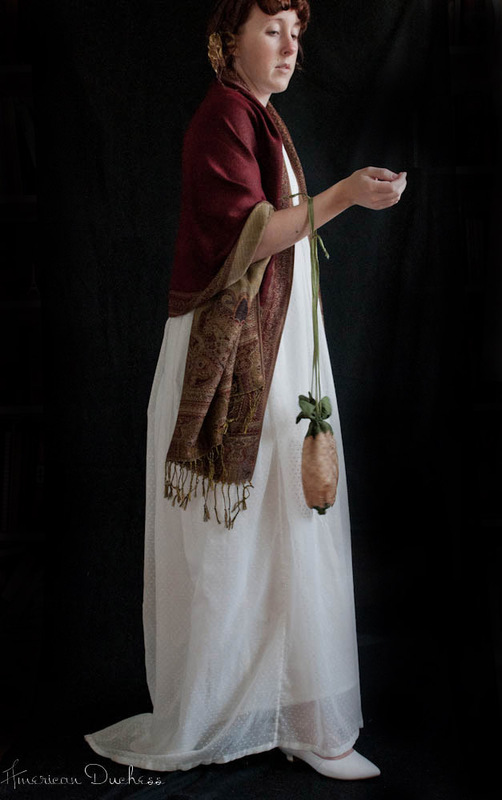 I will be wearing this gown, plus its accompanying accessories - pashmina, pineapple reticule, and Pemberley 1790s Regency shoes - to the Masquerade Ball put on by the Regency Society of Tennessee, this coming Saturday, November 12. 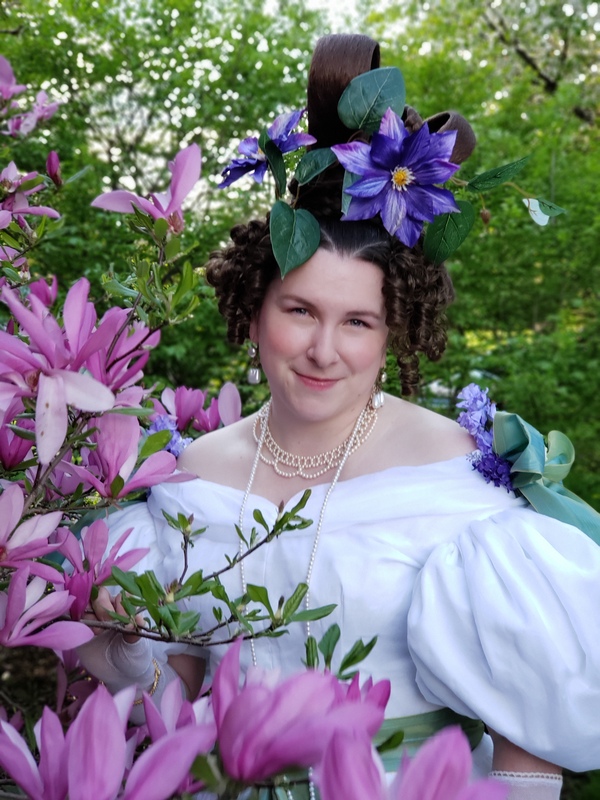 If you are going to be at this ball, come say "howdy" and see the Pemberley 1790s shoes for yourself. For now, here are some pictures, lots of picture! 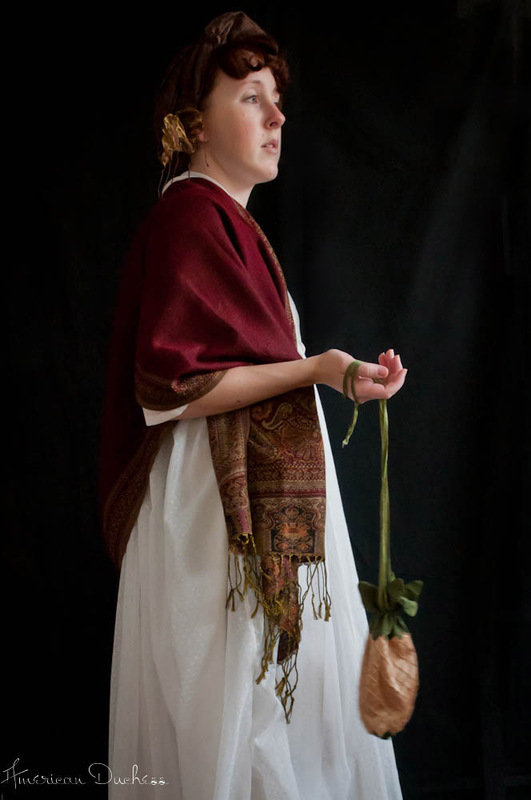 Here you can see the whole ensemble together, and how the accessories add to it. This week I painted up a pair of Devonshires inspired by an extant pair held in Manchester City Galleries. 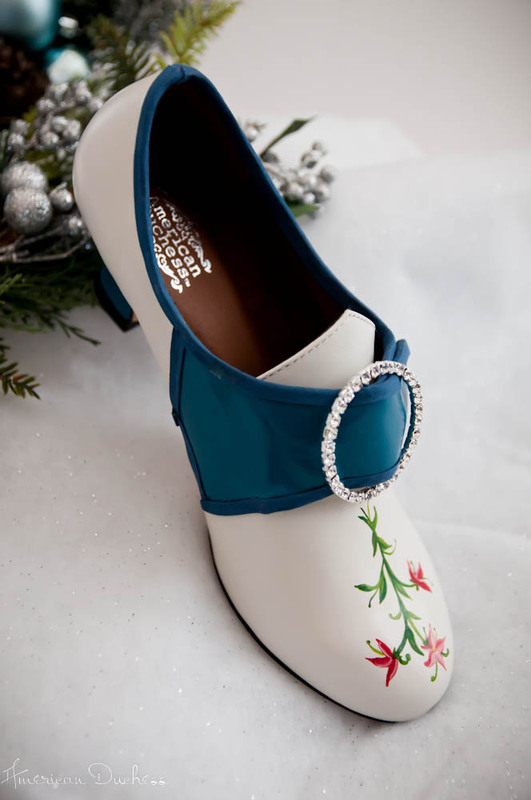 I used Angelus Leather paints to color the latchets and heel blue, and also mixed colors to paint the floral sprig on the toe. 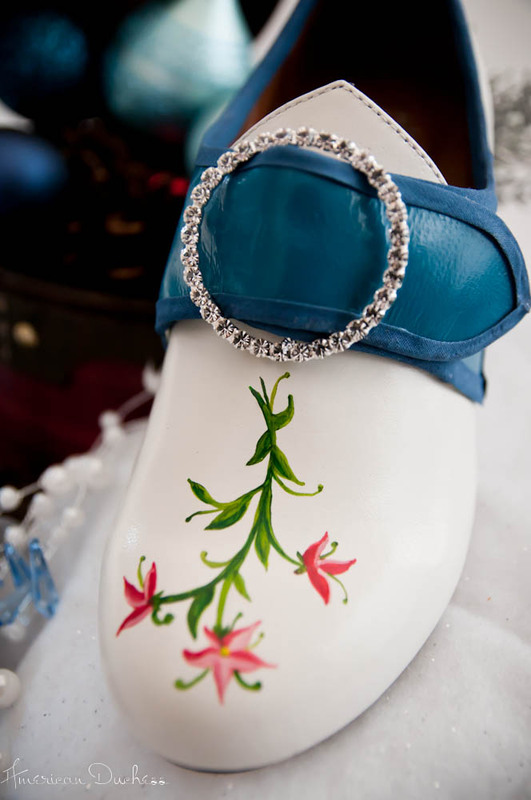 Blue bias binding completed the shoe, along with the round rhinestone slide buckle, for a little bling. 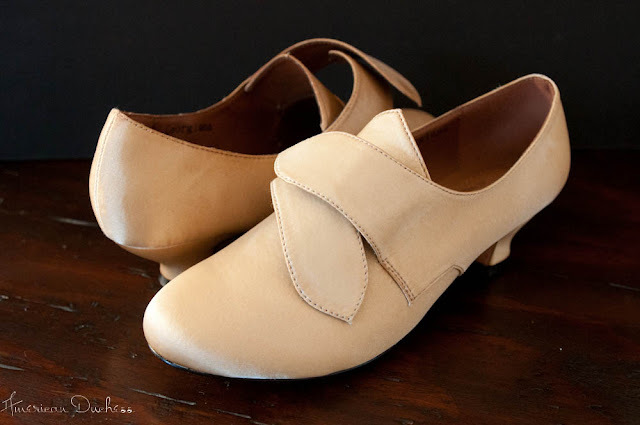 The Pemberley is a transitional shoe closely based on extant examples from the 1790s to the 1810s. 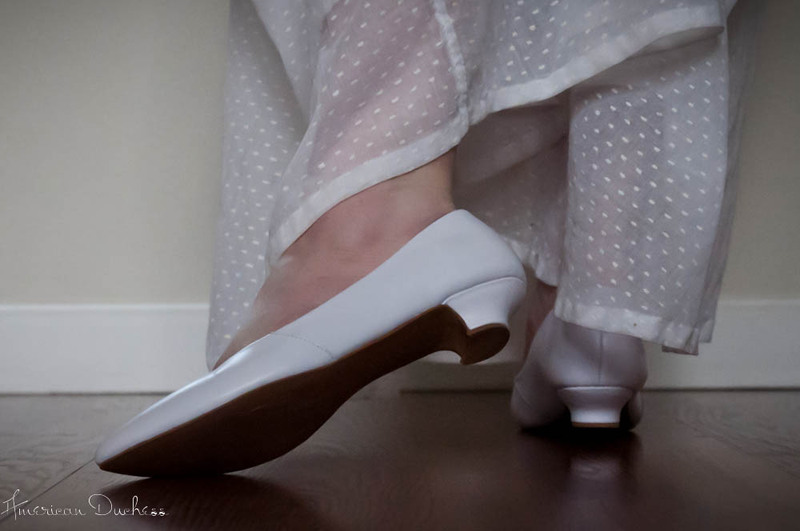 The hand-sewn upper features a pointed toe engineered *not* to squeeze your foot to death. 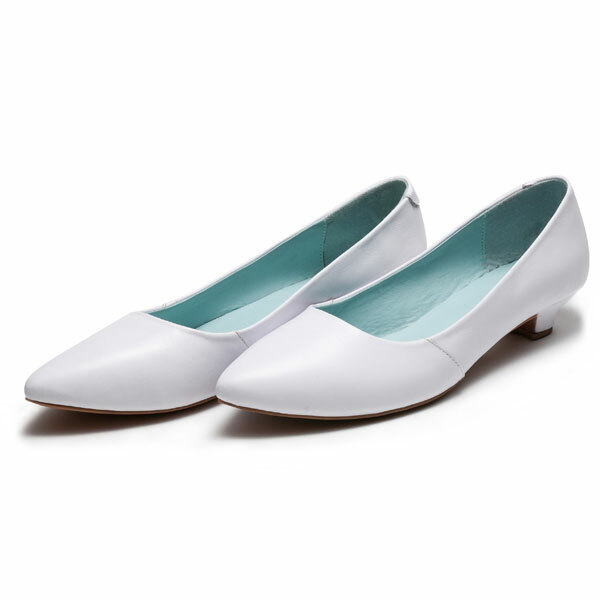 The small, 1 inch high heel is delicately shaped, but sturdy and easy to walk in. 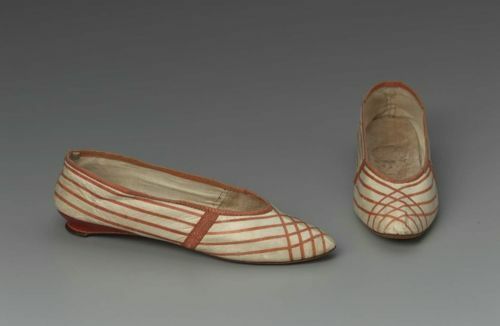 Designed with the hallmarks of early Regency shoes: pointed toe, small heel, side seams. 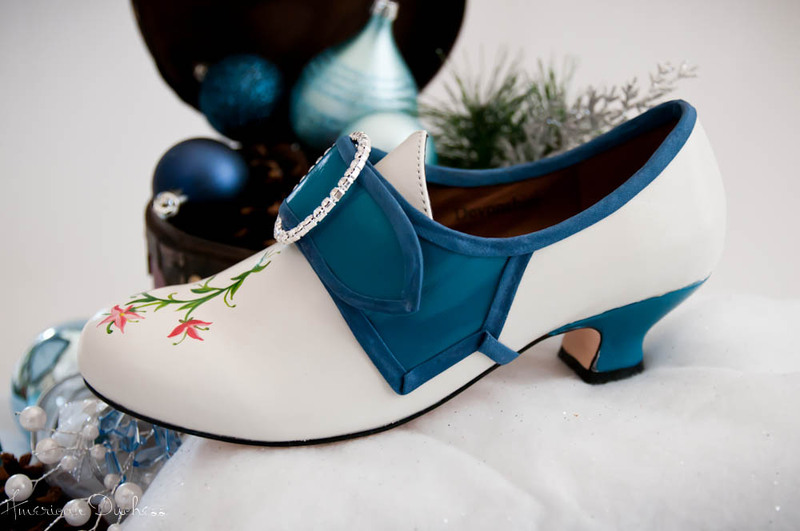 Dyable leather construction, lined in "Wedgewood" blue. ...and our signature leather soles. 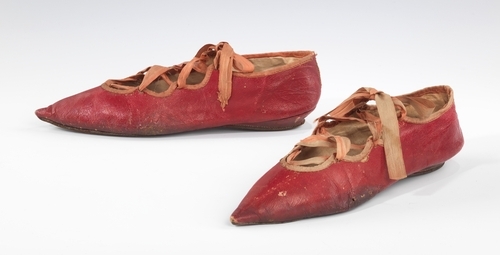 The Pemberlies will never leave you wondering or worrying if your shoes are period accurate! Remember, those who pre-order receive the special discount price, plus are guaranteed their shoes. Please mark your calendars, and spread the word - as always, we need 100 pre-orders to run this beautiful style! 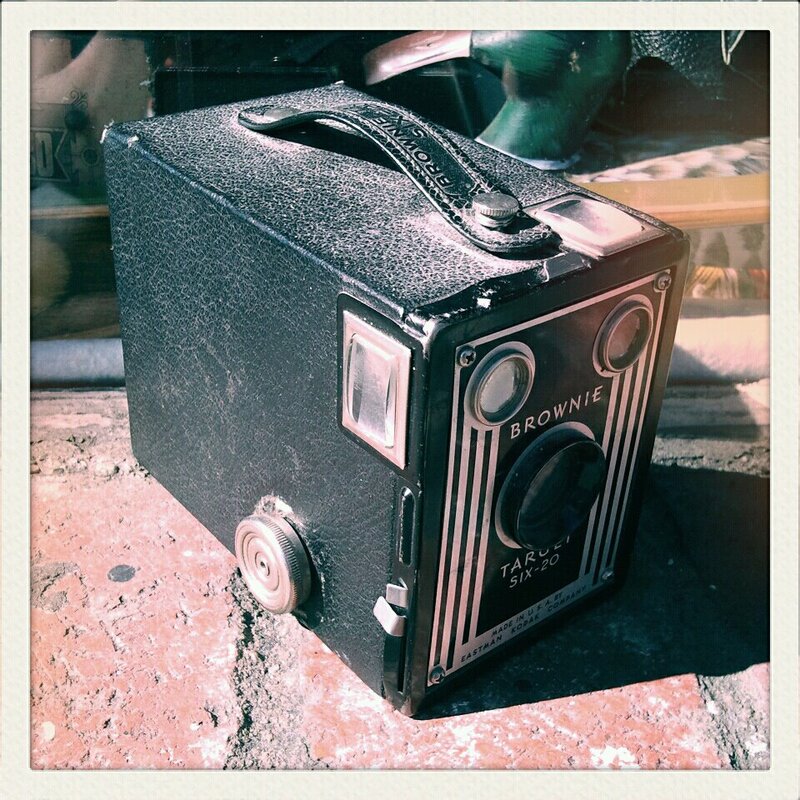 This past weekend in Alameda, I couldn't resist visiting one of my favorite antiques shops, where I found this Kodak Brownie camera for $25. It's a Brownie Target Six-20, made in 1946. I didn't know if it was operational when I bought it, although the shutter fired, so it was a delight to get it open when I got home (because Chris and I both had to find the manual online to see how to get the darn thing open) and see it looking like new. We've already ordered some film for it, which is 620 size, not 35 mm (also takes 120 if you roll it onto the 620 spool), and comes in rolls of 8 exposures. Just 8! I can't wait to learn how to use this little thing. It's already wonderful as a prop for 1910s-1940s costume events, but even better that I'll be able to take photos with it too. 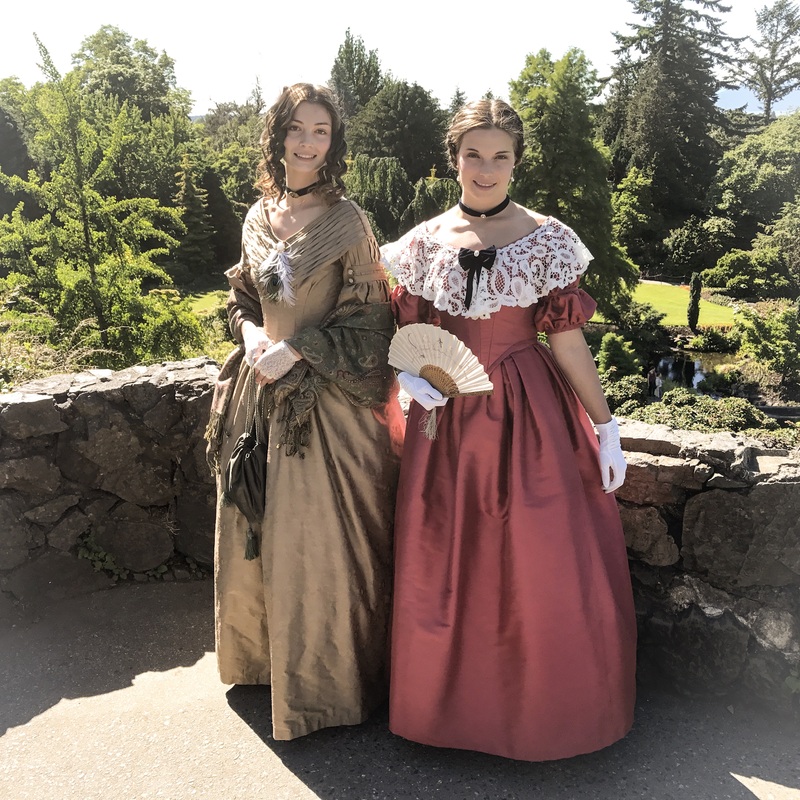 To me, that adds a whole new dimension to spending the day in vintage costume in an effort to connect with history :-).